TAG Heuer Link CJF711.BA0592 Calibre S 1/100th Second Electro-Mechanical Chronograph. – Chronograph mode: Central hands display the elapsed time measured while the two counters display the 1/100th seconds. 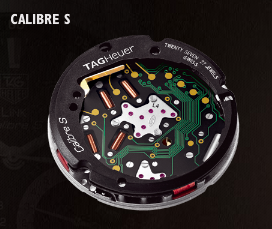 TAG Heuer Link Calibre S has a bidirectional system that allows time to be measured both electronically and mechanically. What you should be aware of before purchasing your TAG Heuer Link CJF7110.BA0592 is that although it is water resistant, it should stay away from showers and baths. It should be checked annually to ensure that its rubber seals are still strong and working to keep water out of your Link Calibre S. You should also avoid chemical products (including cosmetics) when wearing this watch to help maintain its pristine condition. Cleaning it is relatively simple; all you need to keep it looking its best is slightly soapy water, a soft brush to scrub away impurities and a soft cloth to dry it. A pesky aspect about all TAG Heuer watches is that if temperature changes quickly a thin layer of condensation may form beneath the face of the watch. The mist will disappear by itself without harming the timepiece, however it can be bothersome. But to put it simply, the pros of the TAG Heuer Link CJF7110.BA0592 outshines its small nuances. 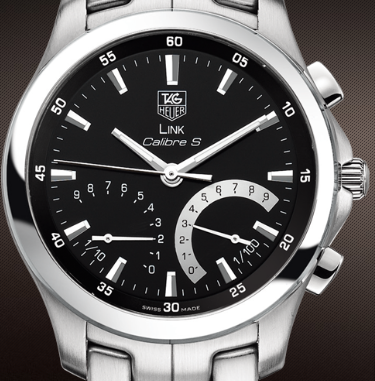 It is durable, fashionable and above all, it performs brilliantly and keeps excellent time. I like the article. Question. If it’s. Been pressure tested for 200m water resistants by tag heuer why wouldn’t you shower or swim with it on. I’ve had the multigraph aquaracer and I swam with it. I mean you figure for $3800 it would and should be what they marked it at. Looking forward to your reply. Best. Hebro50.